Blogs How many injections required for IVF treatment? 1 What’s the purpose of giving injections for IVF treatment? 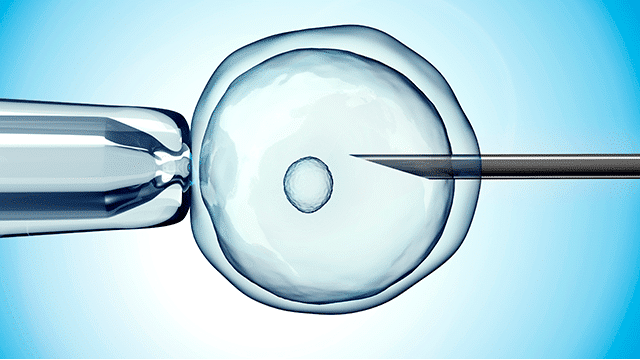 2 What is involved in the IVF process? 3 Who will give these injections to patients? 4 How much does the cost of these injections and is it included in IVF package? The injections which you required for IVF treatment will depend on the protocol chosen for you at Select IVF India. In general, Dr. Nalini Gupta gives injections to the patients for around 8 to 10 days, but some must take them for a little longer depending on the health of the patient. What’s the purpose of giving injections for IVF treatment? Dr. Nalini Gupta generally gives hormone injections to those women who are unable to conceive a baby after being prescribed milder clomiphene fertility pills, however, before they are admitted for full IVF treatment. This injection is given to the women to stimulate her ovaries so that she will be able to produce a good number of eggs which increase her chances to get pregnant. But these hormone injections have some significant side-effects which include headaches, abdominal pain, and ovarian hyperstimulation syndrome, which are rarely serious but in exceptional cases can be fatal. IVF is a process in which involve multiple steps such as ovarian stimulation, ovulation induction, the collection of eggs, fertilization with sperm, and transfer of the fertilized eggs to the uterus for intended mother. Each stage of IVF treatment must be carefully controlled via the administration of medications. At each stage, Dr. Nalini Gupta at Select IVF India use the different protocols to use these drugs and will choose the most appropriate pharmacologic regimen and therapeutic intervention after a thorough pre-treatment evaluation and an accurate diagnosis. With the help of gonadotropin-releasing hormone (GnRH) your fertility expert able to achieve the controlled ovarian stimulation with the use of analogues and inhibitors of natural steroid hormones, like clomiphene citrate, recombinant follicle-stimulating hormone (FSH), and luteinizing hormone (LH). Who will give these injections to patients? The patients can themselves take these injections or our staff member will teach your family member that how to give injections which means your spouse or family should know how to prepare you for IVF as well. How much does the cost of these injections and is it included in IVF package? Generally, the cost of these injections ranges from USD 800 to USD 1,000 and this will increase the women chances to have twins or triplets. According to the study, the women who receive these injections have a history of multiple births. IVF is a treatment which only includes the standard cost of medications, however, the medications which are given to stimulate ovaries is not included in the IVF package and the couple needs to pay them from their pocket. IVF is one of the successful procedures over many years as this procedure involves the number of drugs which need to be carefully administered, your clinical pharmacists will be included as an active part of your IVF healthcare team. Your clinical pharmacist will not only advise your healthcare team on choosing the right drug but also advise them about the appropriate dosing, reconstitution, and administration, especially for GnRH analogues that may be self-administered.